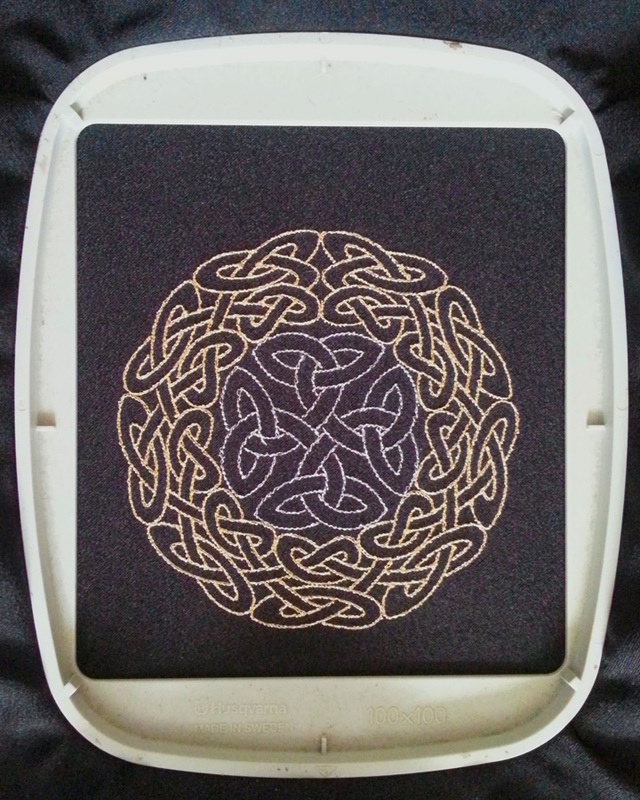 This is a smaller version of a larger Celtic ring design. This design ( pictured left ) was stitched out on black satin using a Husqvarna designer 1 embroidery machine with a standard 10 by 10 centimeter frame by john Coldwell using SophieSew version two embroidery software. It is a two color design in one size of 9.86 by 9.83 cm at 6533 stitches approx. Madeira metallic threads ( gold 3 and aluminium were used to give a sparkled eye catching look.